Andre is a Research Analyst on the Emerging Markets team at Mintel. He is responsible for the development of reports and analysis of the Brazilian market. From green banana pasta with functional benefits and cheese with activated charcoal to collagen infused tea for better skin, Brazil saw a variety of unique food and drink products released over the past year. 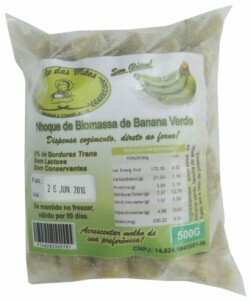 Fruto das Mãos launched a variety of gnocchi made of green banana. Green bananas contain very high levels of a type of dietary-fibre known as ‘resistant starch’. Upon ripening, resistant starch will be converted into sugar; as a result, green bananas contain much less sugar - which is key given the growing concern Brazilians have regarding sugar intake - but much more resistant starch than their ripened yellow counterparts. The product is ready for cooking, and is free from trans fats, gluten, lactose and preservatives. There are other unusual gnocchi variations made by Fruto das Mãos such as beetroot, sweet potato, cassava, and pumpkin. Craft brewery Colorado (now owned by AmBev) launched Berthô, a double brown ale made with Brazil nuts. This beer from Ribeirão Preto has been made using large quantities of nuts harvested in a sustainable way and roasted manually, which are then added to the beer according to a recipe originally created by the brewer Ricardo Rosa. It features a rich taste and soft texture, a good balance between bitter and sweet, and an aroma and flavor of Brazil nuts. Doce de leite (dulce de leche) is a Brazilian favorite and Matte Leão added the flavor to its tea bag range. This new tea should appeal to those looking for new and different flavors and could even work as a dessert replacement. The gluten-free product contains nature identical synthetic flavoring and retails in a recyclable, FSC certified 40g pack containing 25 sachets. 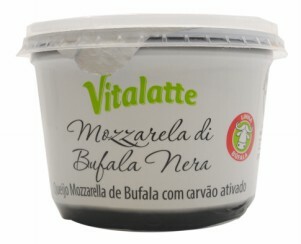 Vitalatte launched a unique buffalo mozzarella in Brazil containing activated charcoal. Not only is activated charcoal being used to add color to products, but health-seeking consumers also seek the ingredient — more commonly found in beauty products — for its detox benefits. Green People Juçaí Bebida Mista Juçara, Banana, Uva Passa e Água de Coco (Vegetable Drink with Juçara Pulp, Coconut Water, Raisins & Banana) is a cold pressed mixed beverage that has been sustainably made using flash freezing process, and contains no lactose, added sugars or preservatives. This natural beverage should be of interest of the 33% of Brazilians that believe that healthy ingredients is a priority when choosing between beverages to buy. Latco Alimentos launched Time 4 Tea Chá Verde Baixo em Caloria de Lichia com Colageno (Low-Calorie Green Tea Lychee with Collagen), which contains Verisol collagen hydrolyzate that provides several benefits for the body including the skin, bones, hair and muscles. The high satiety product claims to help with weight loss and prevent ageing. 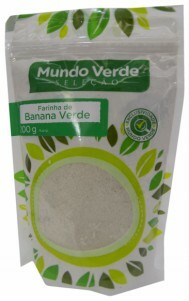 Mundo Verde launched a green banana flour. Made from green bananas, this gluten-free flour is also rich in resistant starch, which acts like dietary fiber in the body. This product is said to easily replace regular flour by simply taking any recipe and using 25% less banana flour than the suggested quantity of flour. This product should appeal to Brazilians seeking for gluten-free alternatives, as well as products high in fiber. Viva launched a new acai beverage made with nanotechnology. This drink is ready to consume and free of fat, gluten and added sugar. Nanotechnology offers functional food and drink manufacturers a way to differentiate new products in terms of efficacy. Panquex launched a liquid pancake dough. A practical product, it allows for quick and easy-to-make pancakes, with no mess and only takes three quick steps, appealing to those seeking convenience. It contains no lactose and retails in a 420g pack enough for eight to ten pancakes. Given the chocolate category’s high level of saturation, expanding eating occasions beyond snacking will be an important means of boosting sales. According to Mintel research, over a third of Brazilian chocolate eaters say that chocolates inspired by dessert flavors (eg lemon pie, brigadeiro) appeal to them. A number of brands have tapped into chocolates with dessert flavors and Kopenhagen is among them. One of its new releases is a red fruits cheesecake flavored white chocolate. The artificially colored product contains nature identical flavoring and a creamy filling and would appeal those looking for a gourmet dessert. Andre joined Mintel in April 2014 as a Research Analyst to work on the Emerging Markets team. He is responsible for the development of reports and analysis of the Brazilian market. He previously worked for IBOPE, one of the leading research institutes in Latin America, focusing on media research.